How to Scan OST File in Outlook 2016, 2013, 2010, 2007, 2003? OST or Offline Storage Table is basically an offline folder file used by Microsoft Outlook. However, if due to any reason MS Outlook is disconnected from the Exchange server, then OST file permits users to work in an offline mode in MS Outlook. One can send new emails, read or delete the already existing emails, etc. As the connection is established again, all changes made to OST file get updated automatically when synchronized with Exchange Server mailboxes. But in some circumstances, a user may encounter an error while accessing the OST file in Microsoft Outlook. 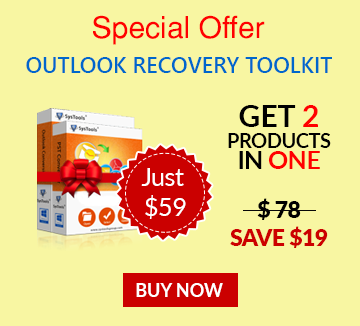 It generally occurs if some of the items deleted accidentally or missing from Outlook OST file. The main reason behind this is either human mistakes or corruption in OST file of MS Outlook. Thus, to remove OST file corruption, a user is advised to run SCANOST.EXE tool to SCAN OST file in Outlook 2016, 2013, 2010, 2007 and 2003. “I am facing some issue while accessing OST file in MS Outlook 2013. So, one of my friends suggests me to run OST Integrity Check Tool (SCANOST.EXE) to diagnose the exact issue. But, I was unable to find scanost.exe Outlook 2013 tool. Therefore, looking for a solution to repair corrupt OST file”. In order to repair corrupt OST file Outlook in 2007, one is suggested to use OST Integrity Check tool I.e; SCANOST.EXE. However, this in-built application also varies from version to version of Microsoft Outlook. Therefore, in this segment of the post, we have discussed all of them. The major drawbacks of SCANOST.EXE is that it is not available in MS Outlook 2016, 2013, & 2010. In addition, when it comes to repair badly damaged OST, the scanost.exe gets fail. Users are keeps on searching for scanost.exe Outlook 2013 utility to repair corrupt .ost file of Outlook 2013. Therefore, let make this very clear that scanost.exe is not available in Outlook 2010 and above versions. However, a user can still repair OST file in Outlook 2016, 2013, 2010 using the Inbox Repair Tool i.e. scanpst.exe. It works exactly same as scanost.exe and can be used to remove all type of issues from both OST and PST file of Outlook. If a user still faces the same issue, then the main reason will be highly damaged Outlook data file (.ost). Therefore, in that case a user can easily switch to OST Recovery Tool. This software repair any type of corrupted OST file and provides an option to export it to PST format. Inaccessible OST file can create lots of trouble for the users and make it difficult for the user to work in an offline mode. Therefore, it becomes really important for the users to repair corrupt OST file using scanost.exe in Outlook 2016, 2013, 2010, 2007. As discussed above scanost.exe is not available in Outlook 2010 and above versions. Therefore, OST Recovery Tool is suggested to remove all type of corruption from OST file without any loss of data.